The remains of a Kenyan woman who was stabbed to death by her boyfriend at her apartment in Toronto, Canada will arrive in the country on Thursday. It is believed Lorraine Kerubo Ogoti, 30, who moved to Toronto one year ago for further studies, was stabbed to death in a love triangle. The mother of one was pronounced dead on January 11 after being found by police suffering from life-threatening injuries inside an eight-floor apartment building. Speaking to CTV, Canada her parents, who travelled to Toronto last week, said it was very difficult for them to make the trip to collect their daughter’s remains. According to family, Lorraine moved to Canada about one year ago to seek employment opportunities. She has been described as a “go-getter” who made friends easily. “Lorraine was a very outgoing person. Very humble, very amiable. She was very hospitable and she was kind. And she loved her son very much. Everything that she would have she would really like to share with him,” said her mother, Anne Ogoti. 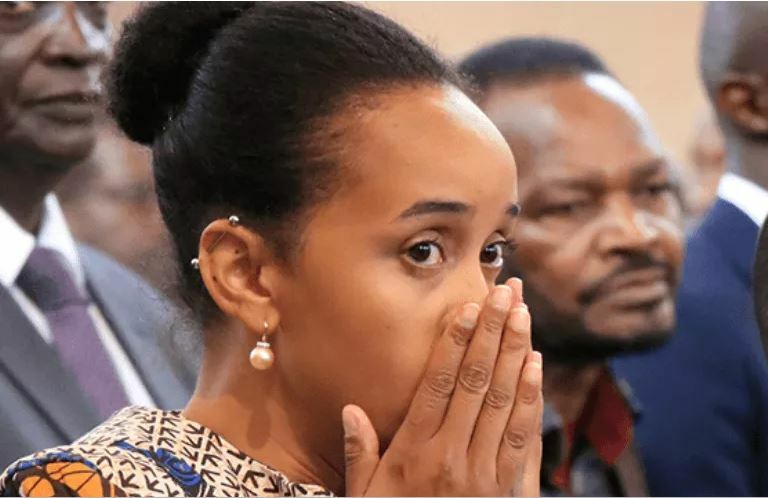 She added that her daughter was planning to return to Kenya to visit her four-year-old son, Moses, in the New Year. She also said that Lorraine had intended to relocate her son to Canada. “She was saying, in the future, when she has settled down, she would very much like her son to join her,” Ogoti said. Her parents said they have forgiven the person responsible for their daughter’s death, but are still confused about the circumstances leading up to the murder. Officers told them that a 40-year-old man, who was found dead on the sidewalk outside the same apartment building where Lorraine Ogoti was found, was their daughter’s boyfriend. Police said that his cause of death was “blunt force trauma.” Officers are not searching for any other suspects in the incident. A requiem service will be held on Friday at Laiser Hill SDA Church in Ongata Rongai followed by the burial ceremony. The family insists that Lorraine’s death must be investigated thoroughly to establish whether indeed she died in a love triangle as claimed.